Bhabananda Deka was a multi faceted writer from Assam. He was a renowned litterateur, research scholar and educationist of Assam. Bhabananda Deka was born on 19th August, 1929 in Byaskuchi Satra in Barpeta to Late Baliram Pathak and Late Sayatri Bala Pathak. He passed his matriculation from Barpeta Government High School and later joined Cotton College for higher studies. He completed his graduation and post graduation from Cotton College under Gauhati University in the 1954 and 1957 respectively. He married Assamese writer and poet Nalini Prava Deka in the year 1964. Bhabananda Deka died of old age on 4th December 2006 in his residence in Pub Sarania in Guwahati. After completing his post graduation, Bhabananda Deka worked for North Guwahati Girls High School as a teacher. During his post graduation, he also worked for the Assam Pradesh Congress committee as an economist. Later he went to his hometown and worked for Bhattadeb Milan Samiti as a secretary and was instrumental in building the first library in Byaskuchi. He also worked in Arya Vidyapeeth College as a professor for few years. Bhabananda Deka joined Pragjyotish College as a professor of Economics on 1st September 1958. He retied as the principal of Pragjyotish College in the year 1992. Bhabananda Deka was the founder principal of Bapuji College of Sarthebari. During his working period in Pragjyotish College, he took leave for a year and worked as a senior research officer in the language unit of Union Public Service Commission in Delhi. He was the first and only Indian Senior I-class officer from Assam to be appointed in Delhi as the head of the newly constituted Assamese department of the Indian Constitutional body ‘UPSC’ in that time. He as the head introduced Assamese as a subject as well as a language medium in 1968 in the all India level competitive examinations of the UPSC. He also worked as the founder principal of four other graduate and post graduate colleges spread across entire Assam. He is the only Assamese educationist to have taken up the initiative of setting up four higher educational institutions across Assam. These institutions are Bapuji College in Sarukhetri in Sarthebari, Jhajhi Tamulichiga College in Teok near Jorhat, Hajo B.Ed College and Sarukhetri Junior College in Barkapla. He brought access of higher education to many unprivileged people in India. 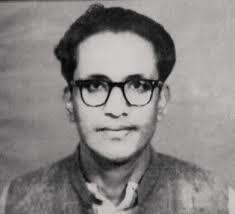 Bhabananda Deka was one of the first Assamese to form the Asomiya Sahitya Samaj in Delhi along with Parikshit Hazarika and Upendra Nath Goswami in the year 1968. He was also instrumental in setting up of Assamese Department with the Modern Indian Languages Department in Delhi University in the years 1969 and also paved the path of establishing the highly prestigious chair in that department four decades later. Bhabananda Deka was highly influenced by Sankari culture and folk culture heritage and was well known for hi active participation on setting up Belbari Satra in Barpeta district. He has written a number of articles and books on Shrimanta Sankardeva and Sankari culture. Bhabananda Deka also translated the Kirtan Ghosa from Assamese to English. He was a dynamic member of the Asom Sahitya Sabha and was made the president of Kamrup Sahitya Sabha in the year 1992, apart from being an active member of various organizations and associations. Bhabananda Deka was the editor of a number of journals and magazines including Ami, Udaygiri, Rastrajyoti and Gobinda. Bhabananda Deka wrote a number of textbooks, publications, travelogues, articles and other books in Assamese and English. He is the writer of one hundred twelve books, textbooks on economics, literature and political science. He pioneered the writing of textbooks on Economics in Assamese. His Assamese book on Assam Economics was published for the first time in the year 1961. Bhabananda Deka is the only economist to be conferred both the Literary Pension and Literary Grant offered by the Assam Government.